10am • Irene Sullivan’s home. Please note the changed day to accommodate the exercise class held on Wednesdays at 9am. All welcome; food will be provided. Books available at Jackson Public Library. Reading and conversation on WISDOM with texts from Anam Cara: A Book of Celtic Wisdom by John O’Donohue, Becoming Wise by Krista Tippett, Wisdom Jesus by Cynthia Bourgeault, No Death, No Fear: Comforting Wisdom for Life by Thich Nhat Hanh. Books available through Jackson Public Library – anyone may check out books as part of the JCC Book Group (library card not necessary). Group meets 3 weeks on Tuesdays: May 22, May 29, June 5. Free. 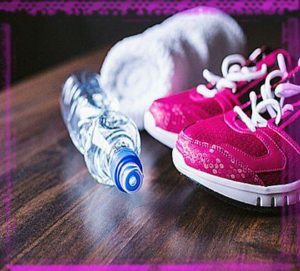 Men and women join fitness trainer Laurie McAleer for a gentle, introductory fitness class for beginners. Wear comfortable clothing, sensible shoes, and bring a bottle of water. Also bring a ski pole and a small ball and hand weights. Men and women both welcome to come try this class. Laurie will lead a fitness class that can be customized to each person’s abilities, and help improve overall wellbeing, as well as focusing on body areas that may need additional support and care. 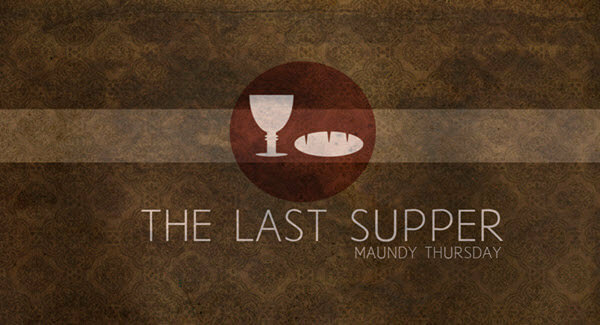 9am • Parish Hall, Jackson Community Church. Join instructor Anjali Rose for a gentle, introductory yoga class. Wear stretchy fitness clothing, bring a matt and a cushion/blanket if you have them. $10/class for 6 weeks. Scholarships available. 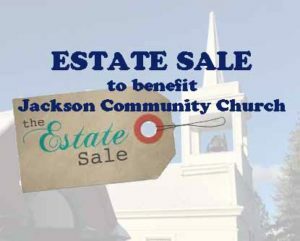 Bring items for donation to the church’s multi-family estate sale. Contact Kayleigh Kearns if you need assistance transporting an item; we can help move your items to the church. To ‘donate’ large items without moving them (example: couches, hutches, bureaus), send a photo and description to the church jcchurch@jacksoncommunitychurch.org so that we can list them on a bulletin board and online sale. 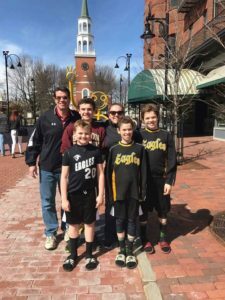 Eat dinner, enjoy great music by Diana’s Bath Salts, join the raffle, and raise funds for the Bailey family while their son Camden goes through surgery and treatment for osteosarcoma. To learn more, visit the Facebook event page. Bring items for donation to the church’s multi-family estate sale. Help set up the sale. Contact Kayleigh Kearns if you need assistance transporting an item; we can help move your items to the church. 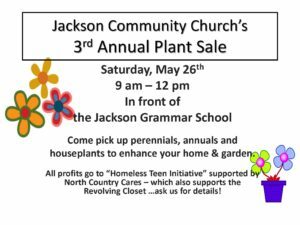 8am-2pm • Jackson Community Church. The church estate sale will take place the same day as the plant sale, outside if weather permits, indoors if necessary. Donated items (household goods, sports equipment, collectibles, kitchen items, tools, toys, small furniture) will be sold to benefit the historic church building and operations. 9am-Noon • Plant Sale. 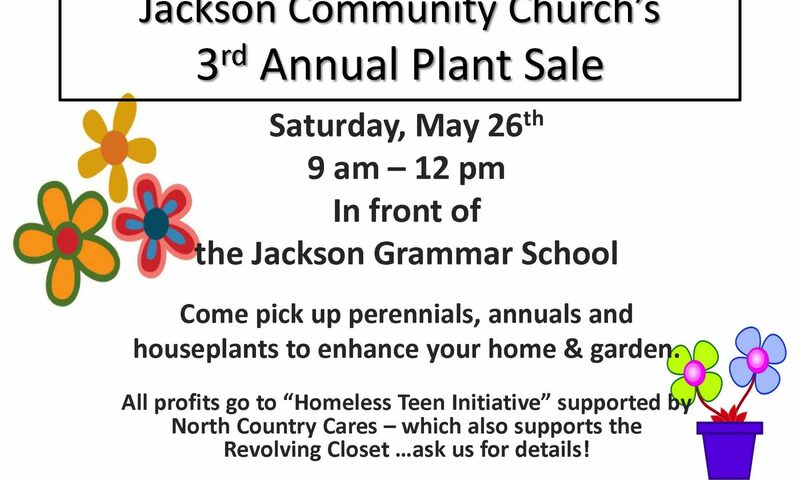 Money earned from the plant sale will go to the emerging Homeless Teen Initiative c/o North Country Cares (also the umbrella organization for the Revolving Closet). Friends of the Jackson Public Library • Whitney Center. More info. 7-10am with Tin Mountain Conservsation Center. Meet at G&S Store in Brownfield. More info. Community Event: WILDQUACK DUCK FESTIVAL. More info.